The Nutritional Therapy Association provides one of the most comprehensive and useful training programs I’ve seen. The program is scientifically based and approaches nutrition from a functional approach that is more concerned with healing the underlying issue rather than masking symptoms. The program is not rooted in dogma but is based on eating real food, properly prepared as our ancestors prepared before us. I have many MD’s who refer to me on a regular basis and I feel confident in my abilities to answer their questions and work with their patients. I walked away from the program with all the tools I needed to facilitate lasting change in others, and so will you! I highly recommend the program to anyone interested in studying nutrition. 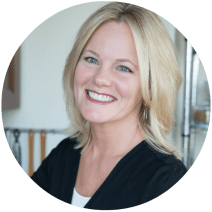 – Danielle Brooks, NTP, CH Author, Nutritionist, Speaker, Owner of Good Decisions, Inc.